"Free elections" was one of the key demands of the demonstrators. Already in March 1990 the first free parliamentary elections were to be held in the GDR. In the spring of 1990, the character of the Monday demonstrations changed significantly. They now became increasingly shaped by the election campaign. 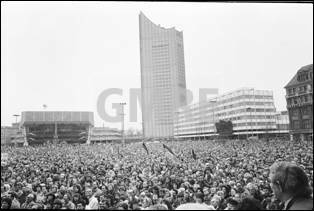 Tens of thousands also attended the election rallies, at which well-known West German politicians appeared in support of their respective partner parties. The parliamentary elections on March 18, 1990, ended with a decisive victory for the "Alliance for Germany". With an extremely high turnout of more than 93%, the election was a referendum for the rapid introduction of the D-Mark and German reunification, which would now be completed in less than seven months. A prerequisite for that was the establishment of democratic, federal and constitutional structures. 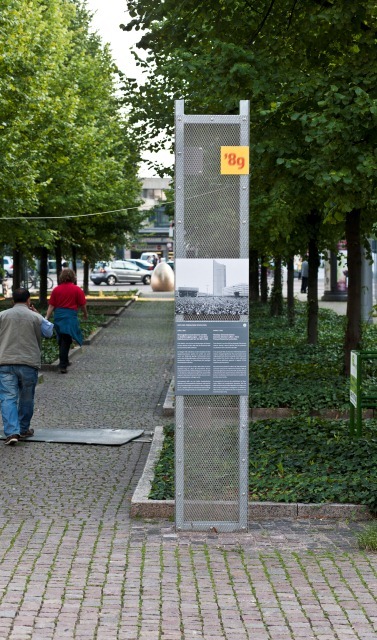 With the GDR's accession to the Federal Republic according to Article 23 of the constitution ("Grundgesetz") on October 3, 1990, Germany was reunified. This was an important step towards European unity.